Bose has a reputation for consistently delivering some of the highest quality sound to its users with sleek headphones and trustworthy wireless speakers. With crisp highs, stellar acoustics, and deep, tonal bass, Bose gives listeners sound as it is supposed to be experienced: in its purest form. 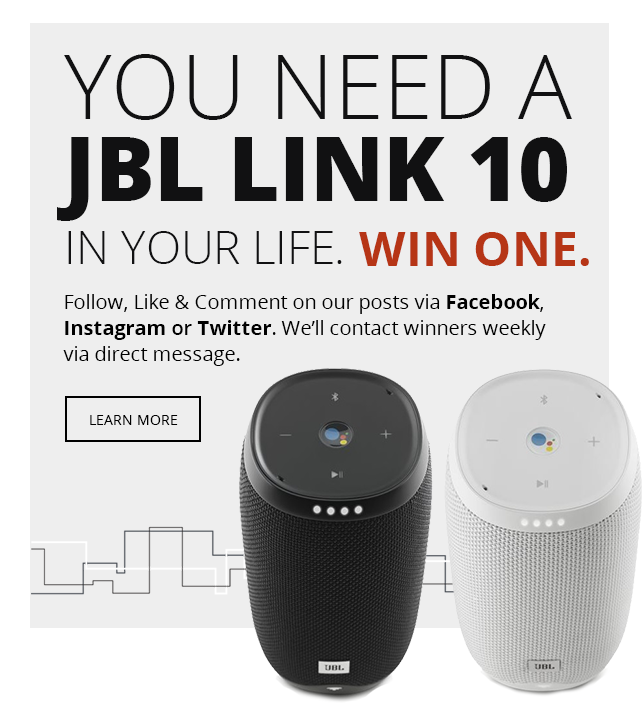 Having set the bar high for all of its products, Bose continues to bewilder music fans and tech enthusiasts with its newest technology and unparalleled products. One of the greatest advancements in the noise-canceling technology the market has been craving comes in the form of the Bose QuietComfort 35 Wireless Smart Headphones II. Built with Bose’s most powerful noise canceling technology to date and that same sleek, fashionable look that we expect from bose, the QuietComfort 35 Wireless Smart Headphones are a total knockout. Here, the experts at InMotion break down what makes these headphones so spectacular: from specs, to design, and a wide variety of must-have features. Headphone users looking to boost their listening experience want to block out extraneous noise for music in its purest form. That’s why it’s no surprise that noise-canceling technology is one of the most sought-after features of headphones users today. Bose, following its reputation of being one step ahead and above the rest with its sound technology rolled out the QuietComfort 35 Wireless Smart Headphones II with their best noise-canceling technology yet with this demand in mind. Featuring proprietary technology that senses, measures, and monitors outside noise, the Bose QuietComfort 35 Wireless Smart Headphones II counteracts extraneous noise before it reaches your ears, allowing the pure, undisturbed listening experience of your dreams. But Bose recognizes that you don’t always need distraction-free listening. In a collaborative office setting or busy city street, you still want to be able to hear voices or sirens, but you don’t want to sacrifice the high-quality sound of Bose in the process. Problem Solved. The Bose QuietComfort 35 Wireless Smart Headphones II have three different levels of noise-canceling technology that allows you to fully customize your listening experience. 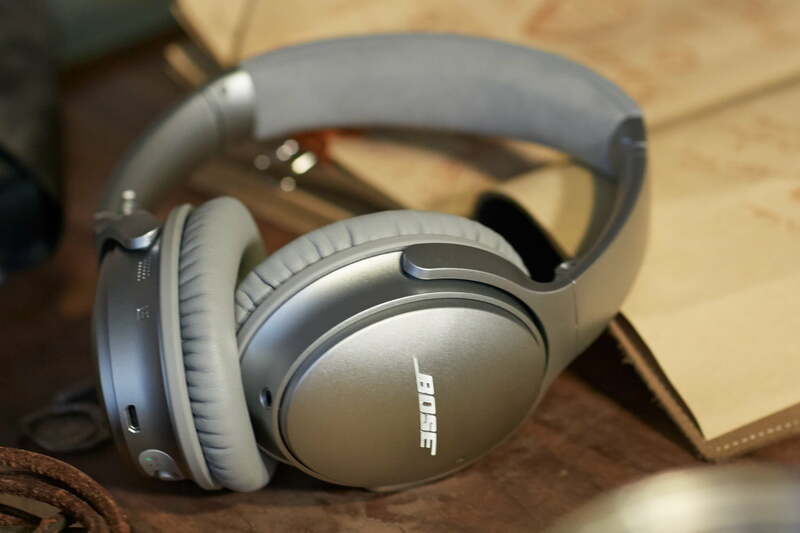 Whether you’re in full-on focus mode or taking a stroll through a busy airport, you’ll always have the noise cancellation technology to best fit your environment at your fingertips. One of the biggest perks of Bose products is the prowess of knowing you are experiencing unrivaled sound quality. Luckily, envious sound quality from Bose never comes at the expense of style. 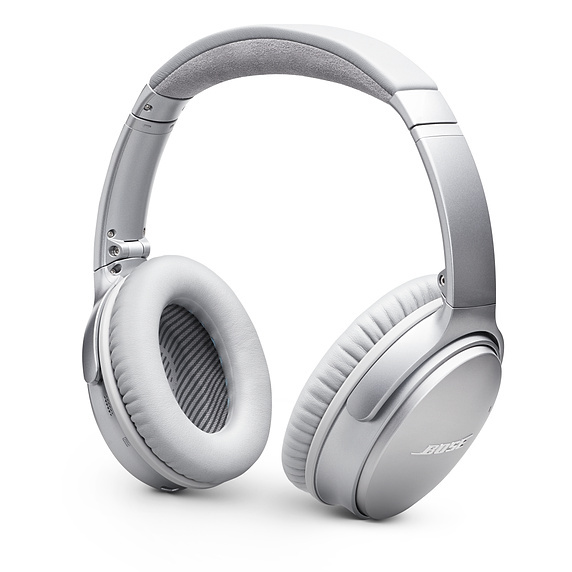 The Bose QuietComfort 35 Wireless Smart Headphones II comes in a variety of styles, including a sleek and futuristic silver made of corrosion-resistant stainless steel and glass-filled nylon for impact-resistant style that will hold up to your every adventure. With the perfect combination of comfort and luxury, the Bose QuietComfort 35 Wireless Smart Headphones II boast ear cushions manufactured with synthetic protein leather that make them feel like they’re hardly there. Additionally, a headband wrapped in Alcantara - the same material used on yachts and high-end automobiles - brings luxury comfort to a level you’ve never experience before. This style doesn’t mean you’re sacrificing on sound quality or battery life, either. The Bose QuietComfort 35 Wireless Smart Headphones II have up to 20 hours of battery life on a single charge. If nearly a full day of listening isn’t enough, a quick fifteen minutes of charging delivers another 2.5 hours of stunning acoustics, crisp highs, and deep, hearty bass. These headphones feature volume-optimized EQ for high-performing balanced sound at all volume levels, ensuring that every song is experienced the way it’s meant to be. As technology becomes a large, omnipresent component of our daily lives, we expect an increased degree of compatibility from one device to another. The Bose QuietComfort 35 Wireless Smart Headphones II deliver compatibility to both Amazon Alexa and the Google Assistant with a simple touch. With noise-rejecting dual microphones built-in, clear phone calls and voice commands can be made simply with connection to your favorite devices. Stay connected to loved ones, learn about daily news, and stay organized with your daily plan all while experiencing stunning sound quality and a streamlined lifestyle with your voice assistant. Additionally, you can download the Bose Connect App for easy customization of your QuietComfort 35 Wireless Smart Headphones. Choose your sound-cancellation level and adjust your sounds whenever and wherever you’d like, making the Bose QuietComfort 35 Wireless Smart Headphones II some of the most modern and user-friendly headphones on the market. With the QuietComfort 35 Wireless Smart Headphones II, Bose continues to release sound technology that places them a step above the rest. 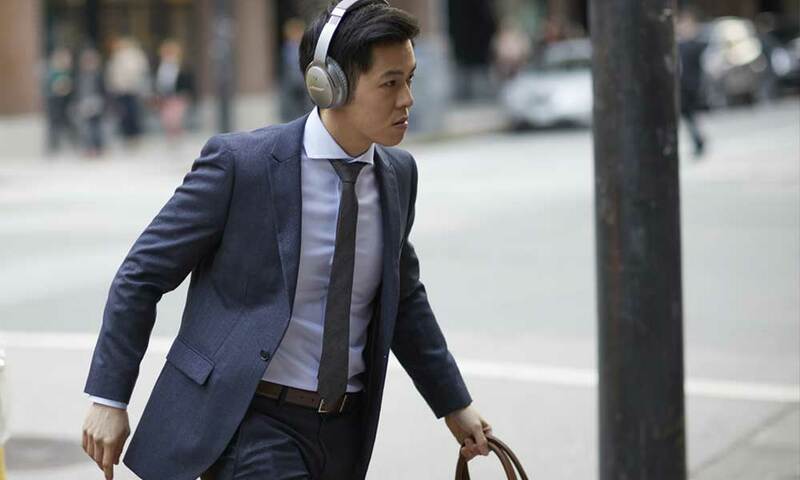 Boasting style, world-class noise cancellation, and unbelievable convenience, the Bose QC35 Wireless Smart Headphones are an audiophile’s dream come true. Perfect for travelling, studying and working, and your day-to-day life, you’ve got to hear these noise-canceling headphones to believe them. Gear up for your next flight with InMotion - your trusted airport tech retailer - and allow an expert associate to test-drive you through the best features of the Bose QuietComfort 35 Wireless Smart Headphones II.